Joanes is Senior Research Fellow in Climate Resilient Economies at the African Centre for Technology Studies, Nairobi, Kenya. He is an interdisciplinary scholar with more than five years research experience in the area of environment, climate change, agriculture and development. Joanes obtained a PhD in Environment and Development from the University of Leeds, UK, MSc in Agriculture and Resource Management from the University of Bonn Germany (First Class) and BSc in Environmental Sciences from Maseno University, Kenya (First Class Honours). His PhD research provided one of the first multilevel analysis of climate change policies from the global design process down to national and local level implementation in an African setting. Joanes’ career passion lies in innovative research and policy analysis that link multilevel policies to local resource and development realities in a manner that creates sustainable development opportunities for the poor. This passion builds on hands-on experience he gained through working with local communities to implement conservation and development projects at the Kenya Agricultural Research Institute. After the practical experience, Joanes proceeded to passionately engage with diverse international research and development issues. Prior to joining ACTS, he worked at the World Agroforestry Centre as a Research Fellow and a Consultant investigating climate change policies and local livelihoods and supporting fundraising on the same. Joanes was also an Early Career Fellow at the Future Agricultures Consortium in affiliation with NEPAD-Kenya Secretariat. 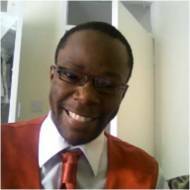 During the fellowship, he pursued fascinating evidence-driven research on political economy of climate change policies in Kenya. He also conceptualised the NEPAD-Kenya Fellowship Programme and interventions for the Comprehensive African Agriculture Development Programme (CAADP). In 2010, Joanes was a research intern at United Nations Environmental Programme and later joined the United Nations University in Bonn as a Visiting Scientist. Joanes has won a number of competitive academic/policy awards including the Honourable Delegate Award for exceptional achievements in the model UN Conference and Young Scientist Travel award by the European Meteorological Society among others. Joanes has also pursued several short courses including intercultural competence, environmental impact assessments, project planning and management, pathways to sustainability approach to research and policy analysis among others. He is skilled in specific analytical tools such as SPSS, R statistics, Social Network Analysis and GIS. He has published in international peer reviewed journals, book series and is a reviewer for several international journals. Joanes enjoys playing football and is a diehard fan of Manchester United.